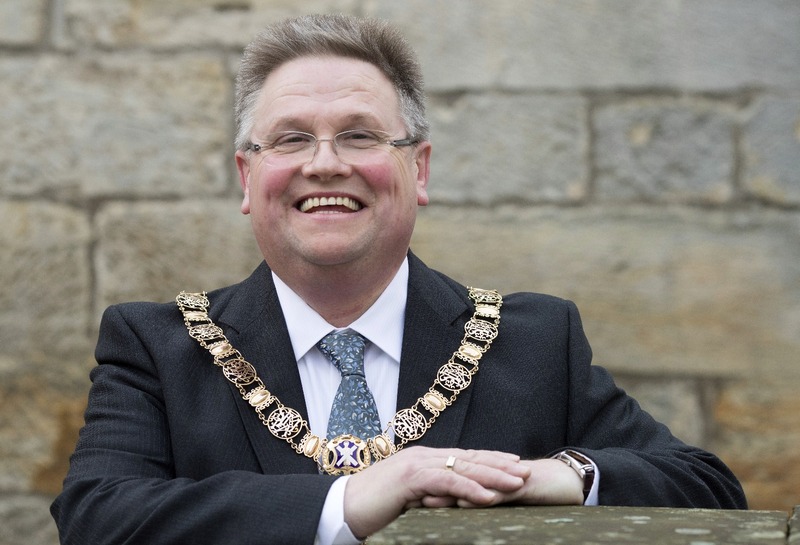 Bathgate Butcher, Paul Boyle has been elected President of the Scottish Federation of Meat Traders. 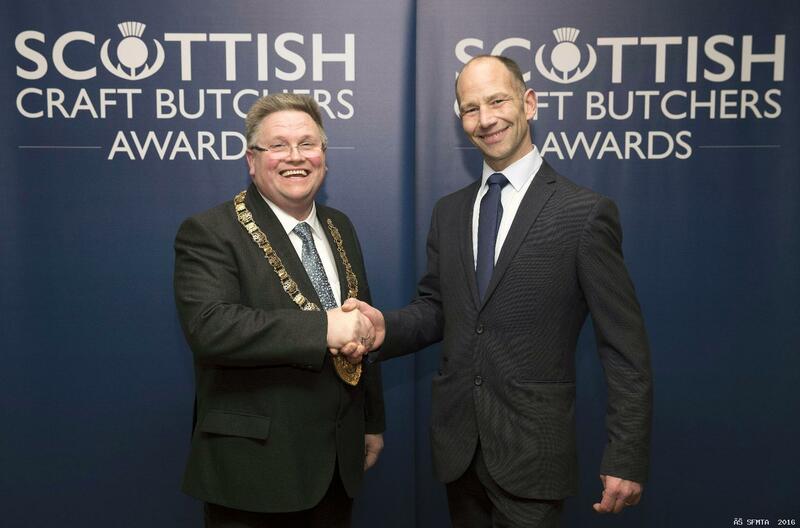 Paul who trades as Boghall Butchers becomes the 79th person to hold the position as leader of Scotland’s butchers, he takes over the role from Perth butcher, Beaton Lindsay (above right). 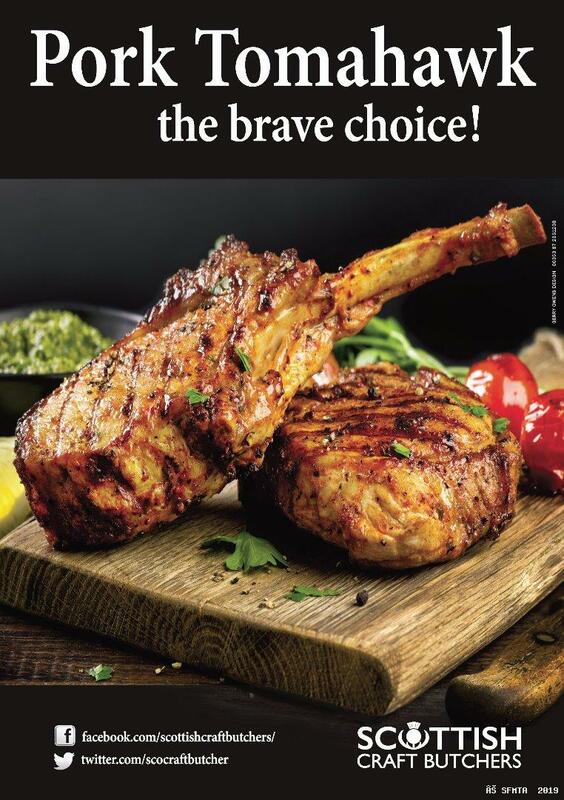 “I know that internet shopping is here to stay but let’s keep the butchers on the high street because we have wonderful unique products and quality meat to attract customers they know this because they come to us for special occasions like Christmas and Easter. The way to keep the high streets alive has to be in getting customers through our doors more regularly. 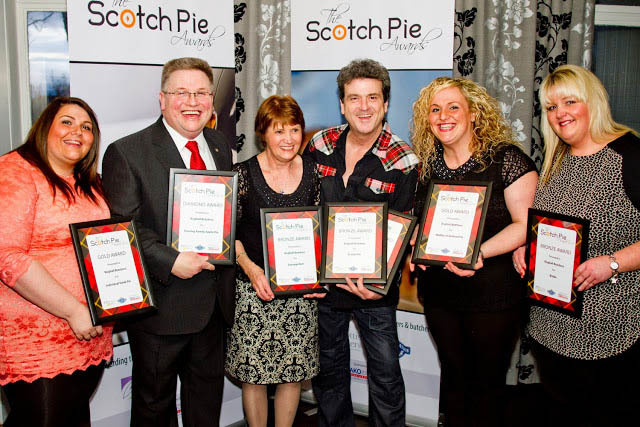 Boghall Butchers is well known throughout Scotland for its many pie awards. 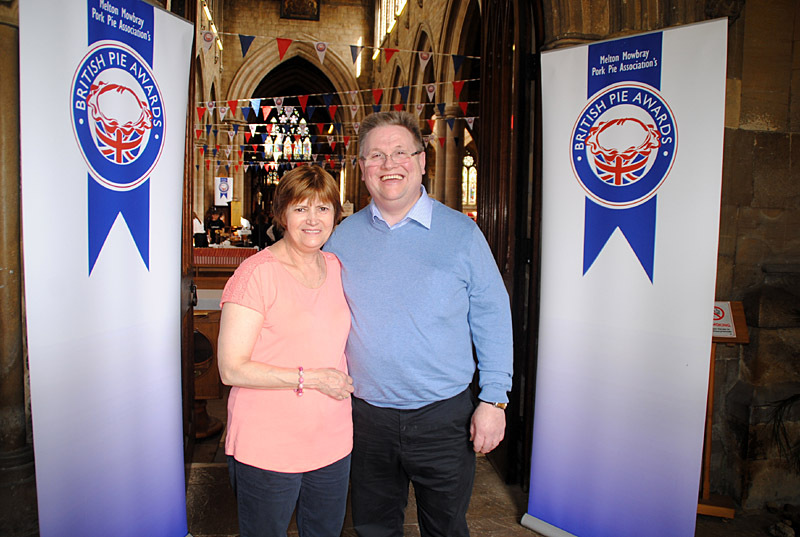 The two time World Scotch Pie Champion has also picked up fistfuls of awards at the British Pie Awards and the shop was recognised as Scotland’s Best Butchers Shop of 2015 by the Meat Trades Journal. Despite the regularity of wins Paul confesses to getting very involved with all the buzz of competitions. It was Paul’s father, William, who started the business in 1975 but Paul was not allowed to enter the business until he had got a trade. He trained as a chef and was six years at the North British Hotel in Edinburgh (now Balmoral Hotel). Paul is married to Christine who also works in the business. When Paul’s daughter, Mariesha left school Paul, like his father before him, insisted that she went to college and achieved an HNC in Hospitality Management. She had covered Saturdays as a schoolchild, graduated very quickly to serving the public. Now she is very much the personality of the shop, oozing enthusiasm with a welcome that just bursts to please. Her sisters Sharon and Paula also help out at peak times. In 2013 Paul opened a second shop in Broxburn and in addition to the family between the two shops the business employs 12 full time staff and two part timers. Paul sources his beef from PR Duff and lamb from Michael Malone both sourcing local produce from their Wishaw base, pork comes from Robertsons in Ayrshire, Chicken from Direct Poultry Supplies and the all important pastry and pie shells are sourced from Wm Sword in Cumbernauld.